Electronics Costs > How Much Does Hulu Cost? Hulu is an online and over-the-top video service that provides ad-supported hit shows, movies, clips, trailers, behind-the-scenes footage, and other new media. Hulu is a collaboration of NBC Universal Television Group (Comcast), Disney-ABC Television Group (The Walt Disney Company), and Fox Broadcasting Company (News Corp). This service is primarily used online through its website, and you can watch any content offered right on a tablet, phone, desktop or laptop computer. How much does a Hulu subscription cost? As of 2017, Hulu has three options: its $7.99 per month limited commercial version, $11.99 commercial free version, $39.99 per month limited-commercial live television version and $43.99 per month for the non-commercial live television version. The $7.99 per month option allows you to access the entire library of Hulu’s television shows and movies, but you will have to watch limited commercials, either before the episode begins or during the show. The $11.99 per month option is the same as the $7.99 per month option, with the exception of no commercials. The $39.99 per month option, which is relatively new, offers more than 50 live and on-demand channels, and in select locations, you may have access to local TV and regional sports networks. This option, just like the previous two tiers, offers access to the entire television show/movie library. Among the live channels includes ABC, ESPN, FX, CNN, TNT, TBS, Cartoon Network and CBS. This package will come with 50 hours of cloud DVR storage, but you can upgrade, as mentioned above, for 200 hours total. You can also watch two screens at once, but again, as mentioned below in our extra costs, you can upgrade to unlimited screens for $14.99 per month. Lastly, the $43.99 per month version offers the same inclusions as the $39.99; however, there will be no commercials in the Hulu library. Do keep in mind, however, that because it is “commercial free,” it doesn’t mean you won’t see commercials during a live television broadcast. Just like you would watch live television, commercials will still exist. In addition to the live television, Hulu offers thousands of episodes from hit television networks. Usually, it will take 24 hours after the regional network episode airs to show up in the library. In the case of cable television shows, there will be a one season delay in most cases. The content is 720p HD when available. If you wanted to add an enhanced DVR, then add $14.99 per month. If you want unlimited streams with live TV, then add $14.99 per month. Adding HBO is $14.99 per month. Adding Cinemax is $9.99 per month. Adding SHOWTIME is $8.99 per month. Hulu can be watched on Roku, Amazon Fire TV, Apple TV, Google Chromecast, iOS, Android, desktop, laptop and Windows phones/tablets, Xbox 360/One, PlayStation 3/4 and the Wii and Wii U. If you don’t have any of these devices, then it could cost as little as $35 for the Google Chromecast to more than $200+ for a gaming console. Hulu lists the devices you can use to stream its channels. 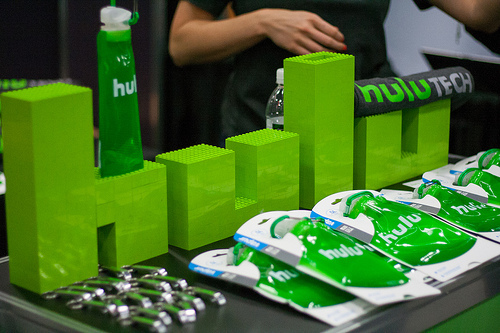 As of 2016, Hulu no longers offers a free version, which was known as Hulu Plus or Hulu+. Setting up the app is fairly straightforward. In most cases, you will download the app onto a device, log in with your username and password. The on-demand library only allows you to stream one show at a time if you don’t upgrade. The live TV show allows you to stream two devices at the same time. Before you pull out your credit card, take advantage of the one-week free trial to see if it’s something you can use and enjoy. As long as you cancel before this week, you won’t be charged.